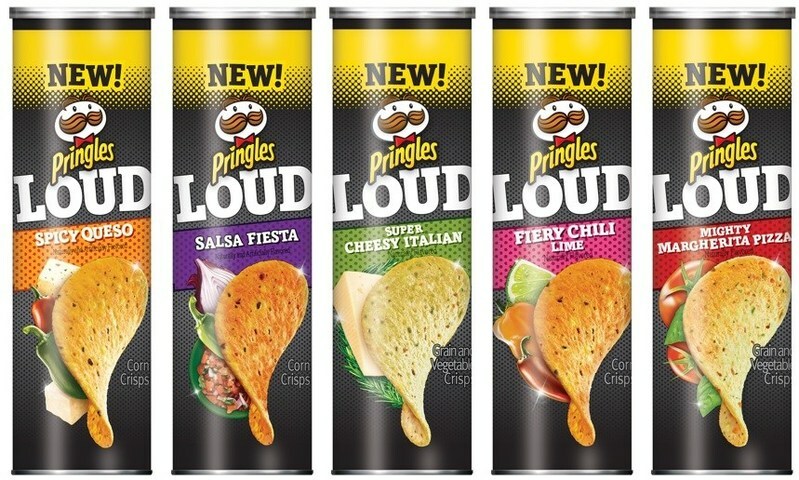 Pringles unveils a new "Loud" line of corn- and grain and vegetable-based crisp that feature "layered," bolder flavors. - Mighty Margherita Pizza - Tomato, basil and mozzarella flavors on grain and veggie crisps. - Salsa Fiesta - Salsa-flavored corn crisps. - Spicy Queso - melty cheese and peppers flavors on corn crisps. - Super Cheesy Italian - Parmesan and herb flavors on grain and veggie crisps. 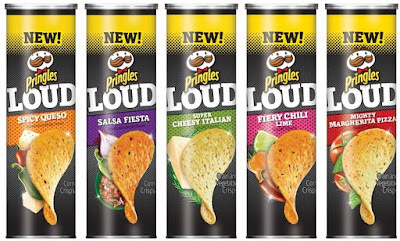 The Pringles Loud line can be found at retailers nationwide starting this month.